If you spend your day staring at the froth in a beer glass, you're liable to get a bad reputation. Such are the occupational hazards for Robert MacPherson and David Srolovitz, who are using mathematics to describe how the frothy networks of gas-filled bubbles that constitute a beer head change over time. The mathematics of how beer bubbles behave is similar to that behind how grains in metals grow. The granular structures in metals coarsen as their boundaries move, says MacPherson, of the Institute for Advanced Study in Princeton. 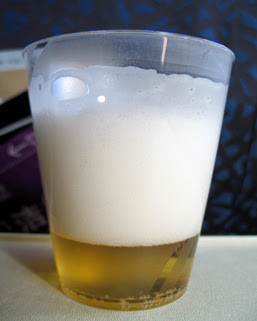 Similarly, the bubbles in a beer head - separated by liquid walls moving under surface tension - merge and coarsen the foamy structure until the head is no( more ).